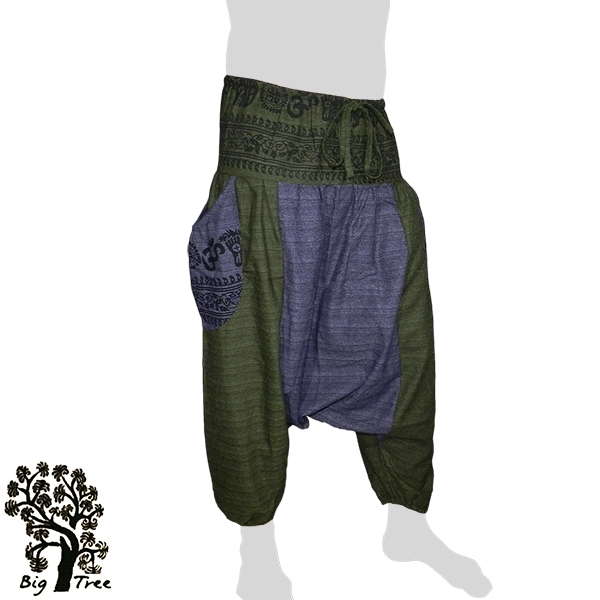 Beautiful wide baggy / Aladdin cotton pants made of 3 different fabric-parts: two colors, green, blue for the legs and a patterned one in green for the waist. The pants have a pocket on both sides and an elastic waistband with laces. 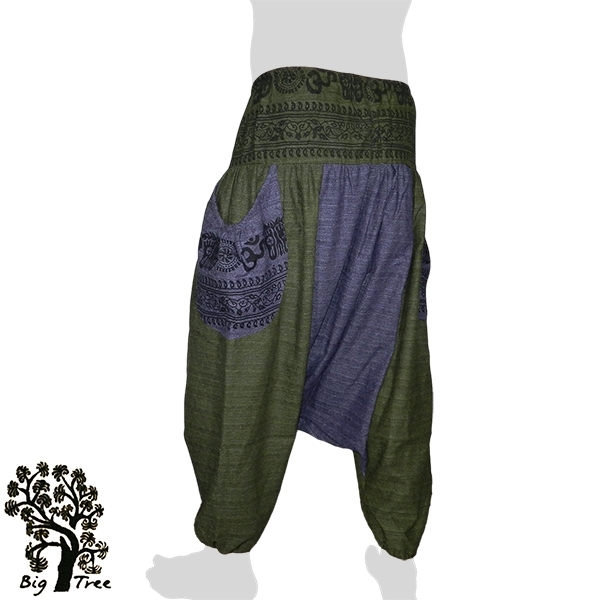 These pants are unisex, thus they can be worn by women and men as well. They are only available in one size (freesize). The material is made from 100% cotton. Big Tree is a Thai fashion label based in Bangkok. The products are all made of pure cotton and usually with natural colors. We buy directly from Big Tree and sell only original Big Tree products.